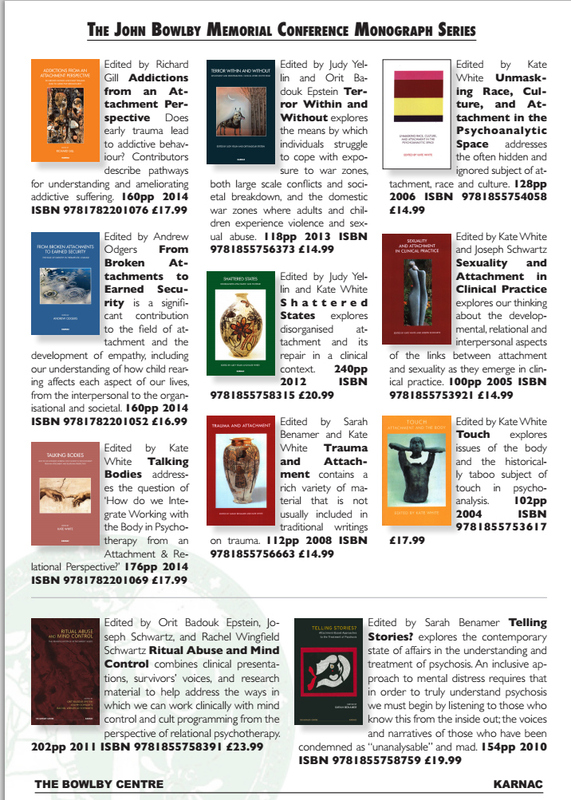 Listed here, you will find summaries of the books in the series entitled The John Bowlby Memorial Conference Monographs – which are published by Karnac. The Series Editor is Orit Badouk-Epstein. There are also several other books which contain the papers from other conferences put on by The Bowlby Centre.